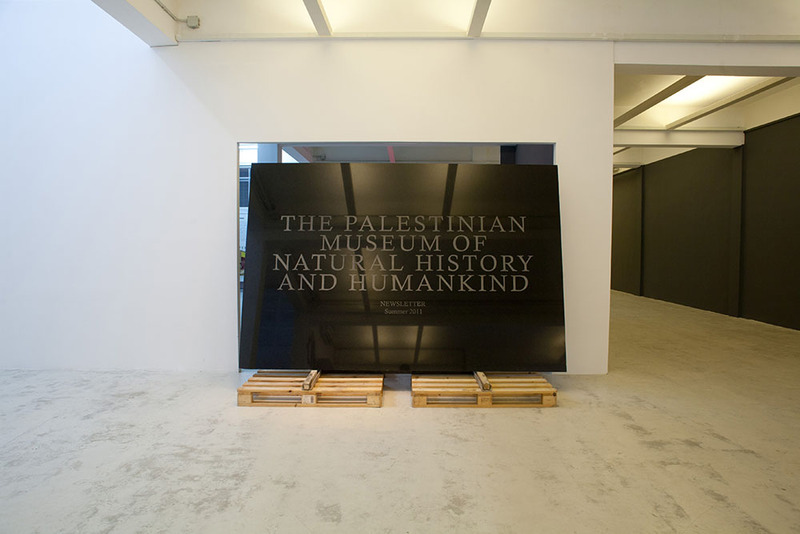 In her talk, Academy fellow and curator Lara Khaldi considers the age-old question of what museums and their objects mean to the selfunderstanding of a nation and its people - a question that could not be more complicated than in Palestine. Despite the extreme challenges of building and protecting collections here, there has recently been a proliferation of museums. Khaldi’s talk hones in on these new institutions to focus on the specificity of infrastructure in a place like Palestine, under occupation, and not yet a "nation state." She looks at how their agendas anticipate nationhood, and she scrutinizes representations of the museum in past and recent works by artists such as Noor Abuarefeh, Khalil Rabah, Khaled Hourani, Walid Raad, and others, asking whether their musealization of the very idea of a museum might make its content disappear. Lara Khaldi (born 1982 in Jerusalem) is an independent curator based in Jerusalem. Khaldi has curated exhibitions and projects in Ramallah, Jerusalem, Cairo, Dubai, Oslo, Brussels, and Amsterdam. She is currently co-curating Desires into Fossils: Monuments without a State, a series of research exhibitions at the Khalil Sakakini Cultural Center, Ramallah.